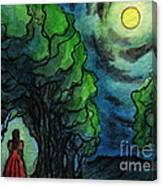 Ac224 Girl Under Full Moon by Kirohan Art - 8.000" x 5.750"
Ac224 Girl Under Full Moon art print by Kirohan Art. Our prints are produced on acid-free papers using archival inks to guarantee that they last a lifetime without fading or loss of color. All art prints include a 1" white border around the image to allow for future framing and matting, if desired. There are no comments for Ac224 Girl Under Full Moon. Click here to post the first comment. For ACEO (3.5"x2.5") original and print order, please use following site. 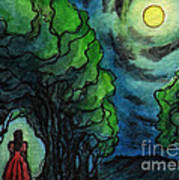 http://kirohann.blogspot.com/2012/10/02-aceo-moonlight.html More original ACEOs, ACEO prints, and larger prints (6.5"x4.65") are available at http://kirohann.blogspot.com/. Hello, art lovers in the world. I am a graphic artist living in Los Angeles, California. My interests are pop art, animation and manga. 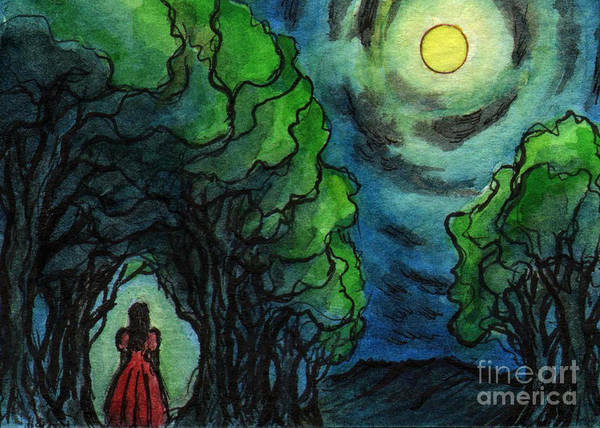 I want to tell stories through my art. 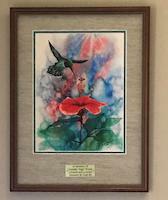 I use watercolor, Photoshop, After Effects for my arts. I have interests in photos and movies too. 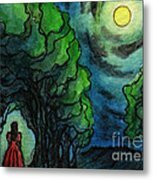 I sell original ACEOs (and small prints) from my blogspot. http://kirohann.blogspot.com/ Thank you!